Single Pair. With the highest NRR rating from a NVLAP accredited lab, these "soft" taperfit earplugs are great for things such as sleeping, motorcycle riding, shooting, etc. Available in a single pair, bag of 25 individual pairs, and boxes of 200 pairs. 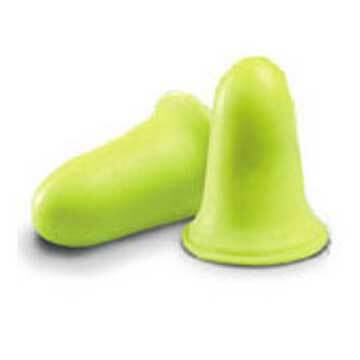 Foam earplugs are designed for temporary protection against noise. The can be used in a number of industrial and recreational applications such as shooting, swimming, motorcycling, sleeping, industrial work, etc.